I have had some success growing sweet potatoes through black polythene in a polytunnel. Last year I found mice also liked my crop and I d to remove a number of very lovely nests and badly nibbled tubers. But even now I have some of last year’s crop to finish eating. 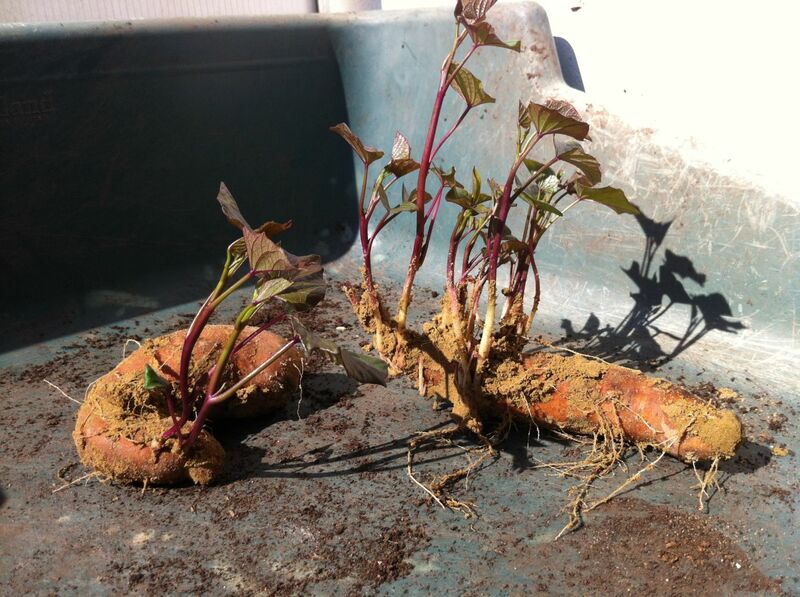 Sweet potatoes are magnificent keepers if they are cured properly after harvest. To do this I put them in trays in the airing cupboard for about ten days! For reasons I do not understand other than profit, buying sweet potato ‘slips’ for planting up in May can set you back a small fortune – at least £1.50 per plant. so, this year I am growing my own slips using some of last year’s crop. The variety I like is Beauregard which has a deliciously sweet orange flesh. Last year I dug just over 20 kilos from ten plants. 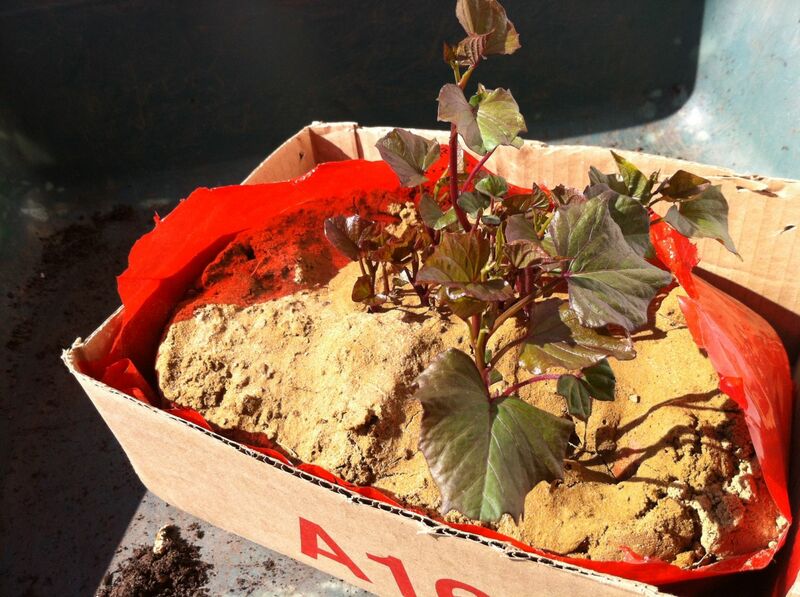 In late February I filled a polythene bag with damp sand, put it in a cardboard box to keep its shape and buried four tubers about two inches deep. I put the box in the airing cupboard and left it for a month, making sure the sand didn’t dry out. At first a few fibrous roots appeared on the surface but then the first shoots stuck their noses up and I moved the box into the kitchen, during the day onto a sunny window sill and at night next to the Aga, although any warm spot in the house would have been fine. 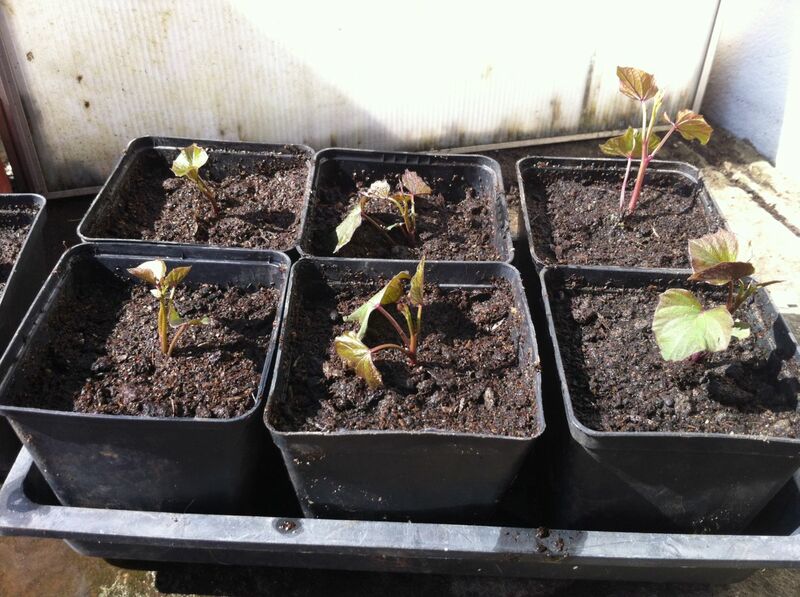 On 30th March I lifted the tubers and selected seven of the longest shoots which I cut off at their base and planted up to their necks in potting compost mixed with a lot of sharp sand. 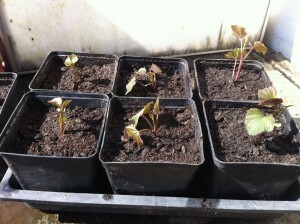 Now the plants are in the greenhouse propagator rooting I hope! I put the tubers back in their sand box as there are a few more shoots still growing, just in case I need to have another go if the first lot fails. 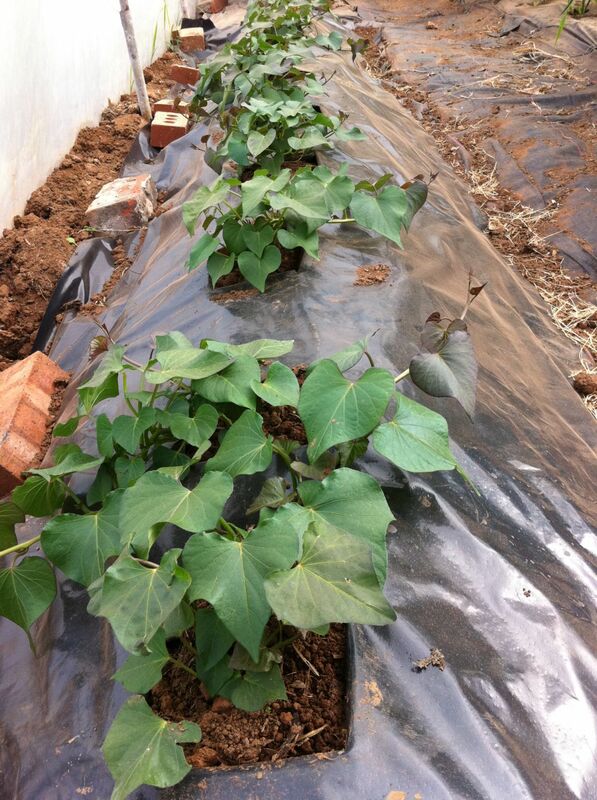 This entry was posted in How to Grow Stuff by Adam. Bookmark the permalink.